Why Waiting for: Young Royals is one of my favorite series that I love to follow. Mary is only six days old when she is crowned after the death of her father, five years old when she is sent to France to be raised alongside her future husband. 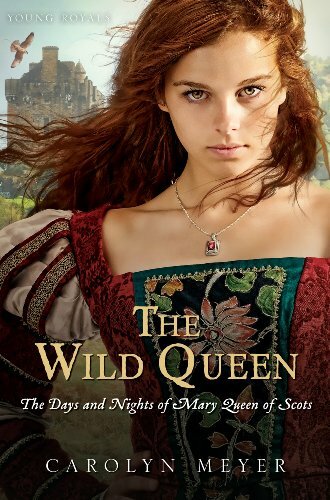 Surrounded by friends and beloved by the royal family, Mary absorbs the culture, becoming more French than Scot. But when her frail young husband dies, Mary, now eighteen, is stripped of her title as Queen of France and set adrift in the harsh world, alone. Beautiful cover and I've not read this series. I am going to look it up. Looks good. Great post. I love this series; Historical Fiction but in a neat way. You should read it. I have been looking forward to it since ages; the whole series is a must read. Young Royals is a series I've been meaning to start. I love the cover for the one based on Marie Antoinette. This is my first time stopping by your blog, and I see you have Sara Poole's Poison in your header. Did you like it? It's one of my all-time favorites.